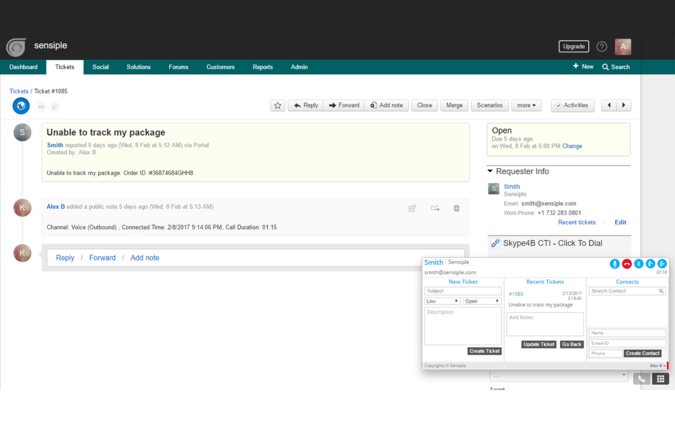 Sensiple’s Skype for Business CTI integrates Freshdesk with Skype for Business (on-premise / O365). This integration extends S4B collaboration to freshdesk customer support teams. 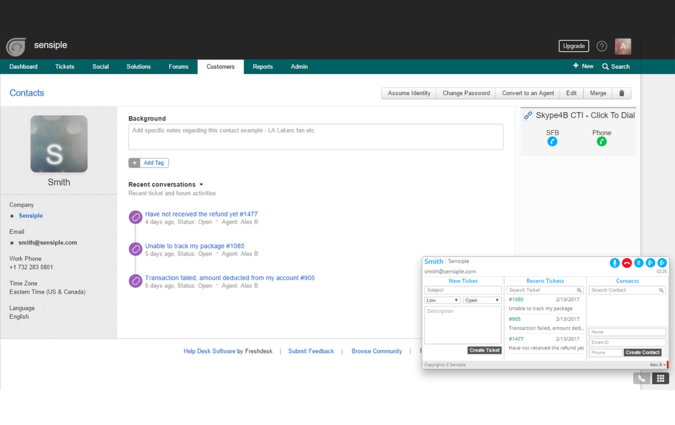 This integration provides agents the ability to open, create, update and review tickets within freshdesk web portal. This solution helps enterprise to leverage existing investment on Microsoft’s Skype for Business and Freshdesk. 1. Installing this Skyp4B CTI app from freshdesk app gallery. 2. Installing Sensiple Skype4B CTI service for desktop. Please contact cxpresales@sensiple.com.